Chris Shepard is back for a second season at the helm of the men’s basketball team. In his first season as head coach Shepard led the team to a 23-7 record. The Hawks were ranked in the top 20 for 7 straight weeks. On top of that Shepard led the team to the Michigan Community College Athletic Association (MCCAA) Eastern Conference Championship, and was named Coach of the Year. After such a successful first season, Shepard said the focus for him this year is improving the program on a national level, as the team scheduled games against four top 20 teams in the non-league portion of the schedule, including a trip to New York against teams who win 20 games each year. 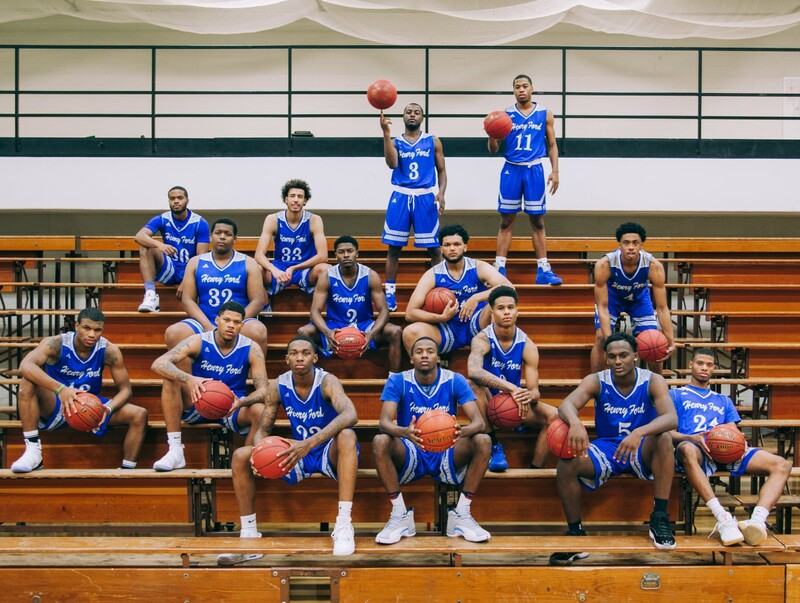 “We want to compete against the top teams in the country and not necessarily try to surpass last season’s win total of 23; that would be nice but the bigger goal is to become respected and recognized as a top junior college,” Shepard said. Coach Shepard says the team has some talented freshmen who continue to grow every day as the coaching staff puts them in situations early to where if they don’t bring their best to the game they will get embarrassed. Shepard feels confident that the team will develop what it takes to be great in a competitive league. Shepard said, “Our league is always tough top to bottom. I don’t know that there is a biggest competition due to the talent levels.” Schoolcraft and Delta are ranked in the top 20, with Mott just outside the top 20. Shepherd admits these teams will be tough, but that doesn’t even include the rest of the league who always has talent like Wayne County and Macomb. Coach Shepard expects the team will make it back to the playoffs and said that he felt like the team last year became too complacent with success; however, this year he feels the non-league schedule will prepare the team to handle adversity when it comes their way. He feels that the team has the toughest non-league schedule, which they will learn from, such as how to battle to get better, and hopefully that will prepare them for the playoffs. The men’s team is 1-2 with their next game at home on November 27 at 7:00 p.m. The women’s basketball team is back for the first time in three year. The women’s team will be led by head coach Gwendolyn Burton who was assistant coach at both Eastern Illinois and Chicago State University. At both schools, she focused on recruiting and coaching the guard position. On the upcoming season Burton said, “I feel excited about restarting this Henry Ford College Women’s Basketball Program after a three year hiatus!” Burton also feels that the team will have an opportunity to generate some sparks in the athletic program and the league. Coach Burton said she is looking forward to the support of the campus community and to make it a difficult place for visiting teams when they come to play the Hawks. Burton also said that after the success for Chris Shepard as a first year coach, the pressure is on, and she wants to be that team with the target on their backs. In the team’s first game this season, Mariah Mitchell scored a team high 20 points in a 71-56 loss to Lake Michigan College. The next home game will be Dec. 1, when they will host Niagara County Community College at 1:00 p.m. in the Henry Ford College Gym, located in Building H on the main campus. The Mirror News circulates to thousands of students and staff. Do you think Henry Ford College should have a recycling plan? Do you feel Henry Ford College sufficiently helps students with their child care needs?